If you’re pregnant or a new mom, there is new free service called text4baby that can help keep you and your baby healthy. 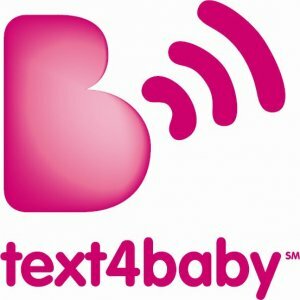 Text4baby will send 3 text messages each week to your cell phone with expert health tips to help you through your pregnancy and your baby’s first year. It’s free to sign up and the messages are free. Sign up for the service by texting BABY to 511411 (or BEBE in Spanish) to receive free SMS text messages each week, timed to your due date or baby’s date of birth. What topics do the messages cover? 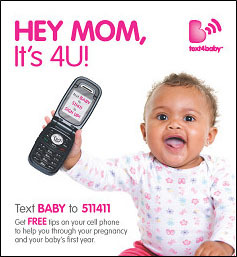 All messages you receive from text4baby are completely free!